gnome-shell-extensions is definately due to the Antergos setup. 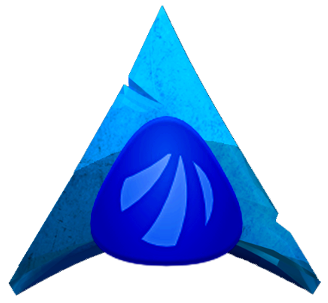 My question is: In Antergos KDE there s the antergos-kde-setup package which once uninstalled makes the removal of anything pre-selected by the Antergos devs an easy task (no such dependencies issues, I mean). I know that there isn t an equivalent to antergos-kde-setup for Gnome. But isn t there some easy way to get rid of things you dont want to have? I originally tried only the -R argument for pacman. And I got this message. It seems that the option to remove unneeded dependencies was required. I’m a little confused about what package comes pre-installed on Antergos and which one is being suggested to be installed manually after removing the default one. The new package from the gnome shell extensions website seems to be an AUR package, and needs to be installed through yaourt. Is my understanding correct? Just realized that there is a “Required by” field in the information, and after first removing “gnome-shell-extension-status-menu-buttons”, then I’m able to remove “gnome-shell-extensions” without any issues. My Gnome3 knowledge is limited. I don’t like it, and can’t use it for more than 10 minutes a day. Then I start to actively hate it. I can only say that the disappearing status buttons phenomenon, with preinstalled extensions, exists in Antergos for at least 3 years. It is not fixed yet. Back to gnome-shell-extensions package. Looking at the official Arch Packages page now, I see that it doesn’t listed among 31 gnome-shell dependencies. On the other hand. gnome-shell-extensions does depend on, requires the presence of gnome-shell - if you want to install gnome-shell-extensions, you must also install gnome-shell. And, importantly, not vice versa - if you want to install gnome-shell, you don not need to install gnome-shell-extensions. Cascading gnome-shell-extensions removal - with Rcnsu - wants to remove all packages that gnome-shell-extensions depends on. Including gnome-shell - which is wrong. Not cascading gnome-shell-extensions removal - with Rnsu and without -c - doesn’t remove other packages that gnome-shell-extensions depends on. Keeping gnome-shell intact - which is right. …In Antergos KDE there s the antergos-kde-setup package which once uninstalled makes the removal of anything pre-selected by the Antergos devs an easy task (no such dependencies issues, I mean). Yes, you’re absolutely right. I think that antergos-kde-setup is like an Arch’s package group, or maybe even a meta-package. …I know that there isn t an equivalent to antergos-kde-setup for Gnome. But isn t there some easy way to get rid of things you dont want to have?